Life Insurance Awarness Month is HERE! Securities and investment advisory services are offered solely by Equity Services, Inc. Member FINRA/SIPC, 354 Mountain View Drive, Suite 200, Colchester, VT 05446. Tel: (802)864-6819. 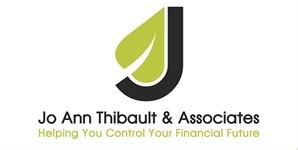 Jo Ann Thibault & Associates and all other entities are independent of Equity Services, Inc.
Jo Ann Thibault is a Registered Representative and Investment Adviser Representative of Equity Services, Inc. and offers securities in the following states: Vermont, New Hampshire, Massachusetts, Colorado, Arizona and Florida.